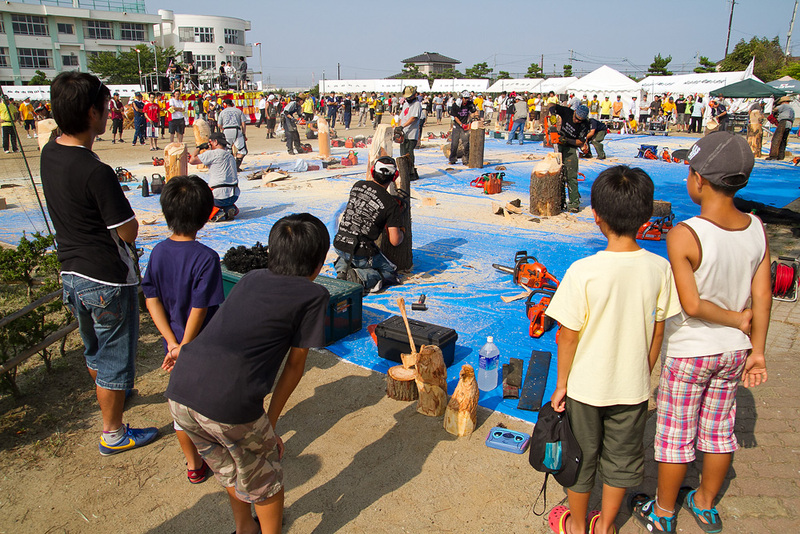 The Okada Summer Festival was held on August 13, 2011. 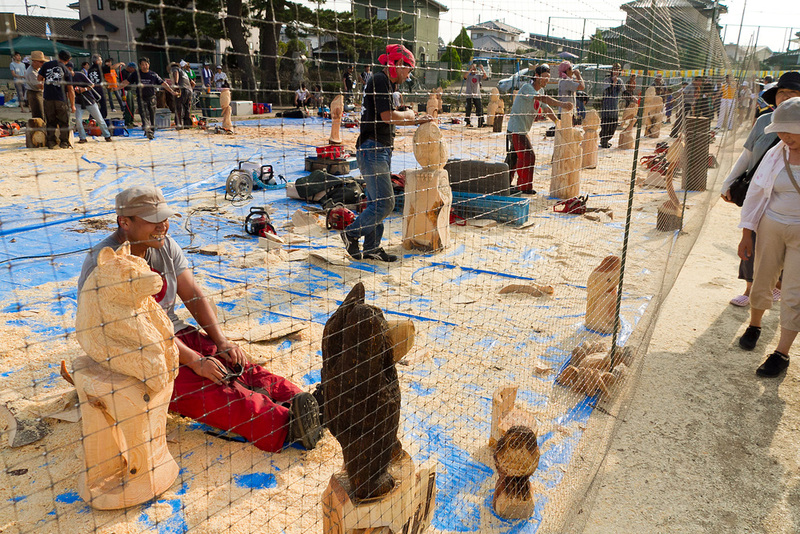 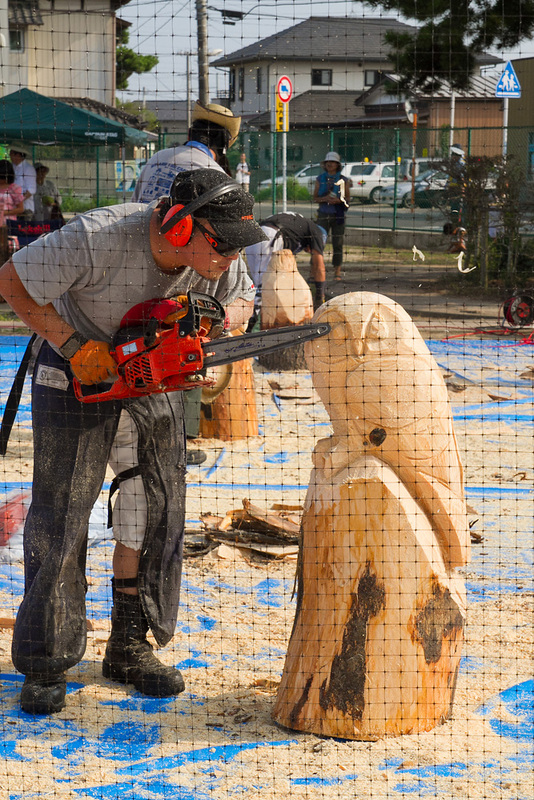 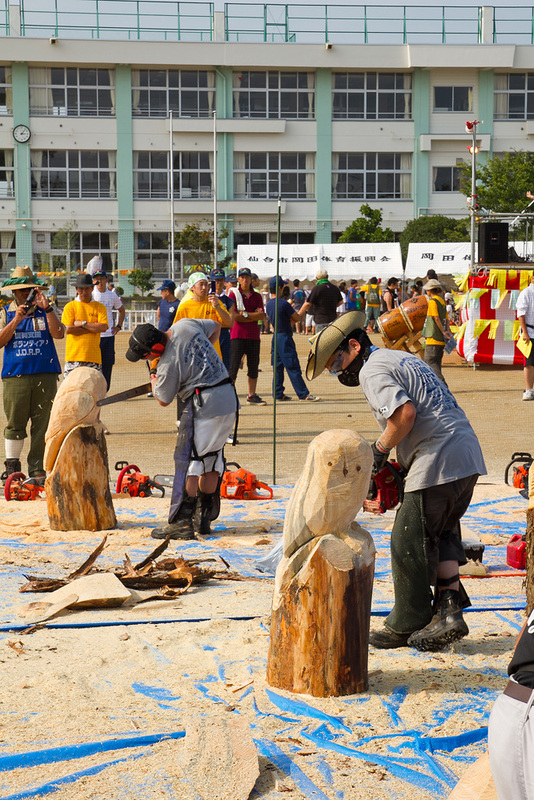 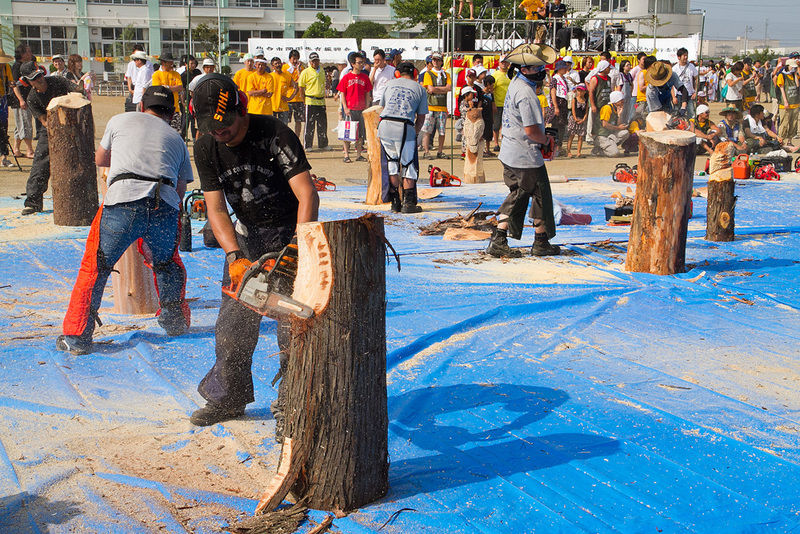 Here you can see chainsaw carving conducted at the site. 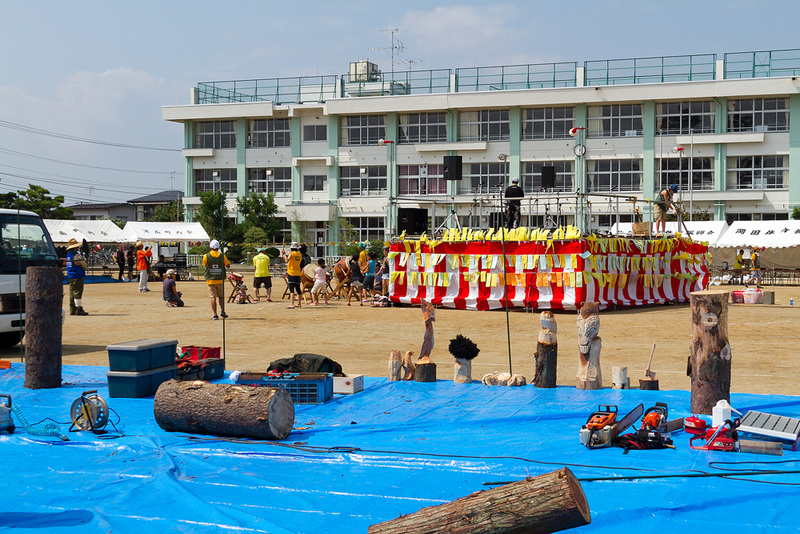 A net is erected around the site in preparation for flying wood chips and unexpected problems. 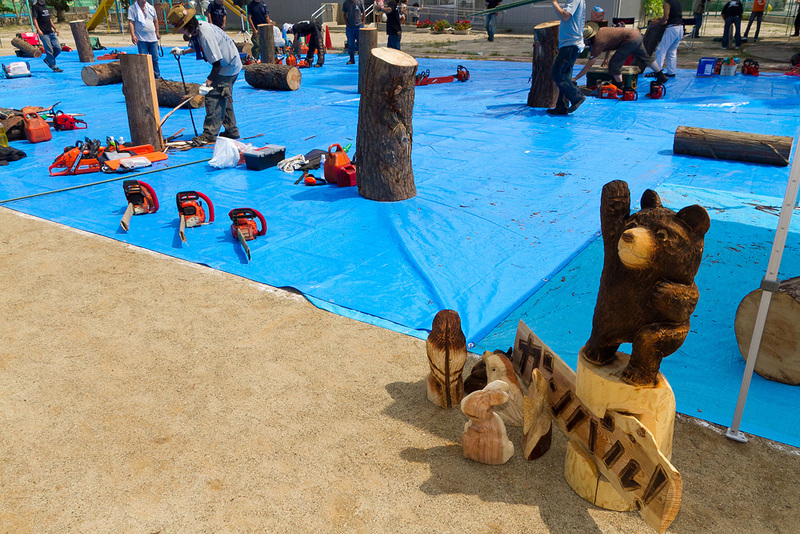 Once they begin to carve, the schoolyard resounds with the sound of chainsaws. 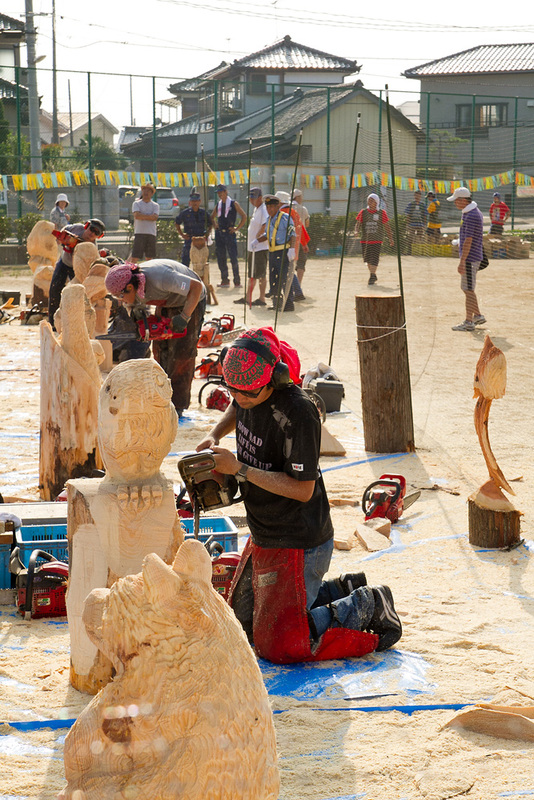 They are able to carve great detail. 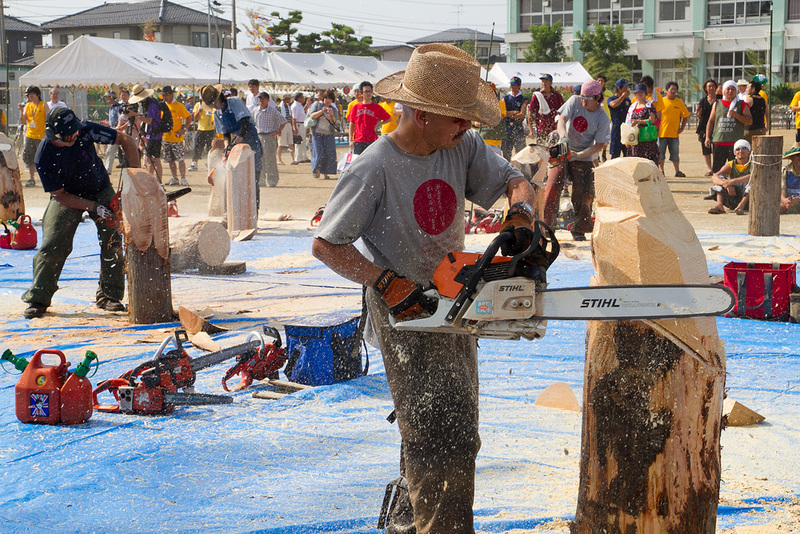 Some people seem to use different-sized chainsaws for different tasks. 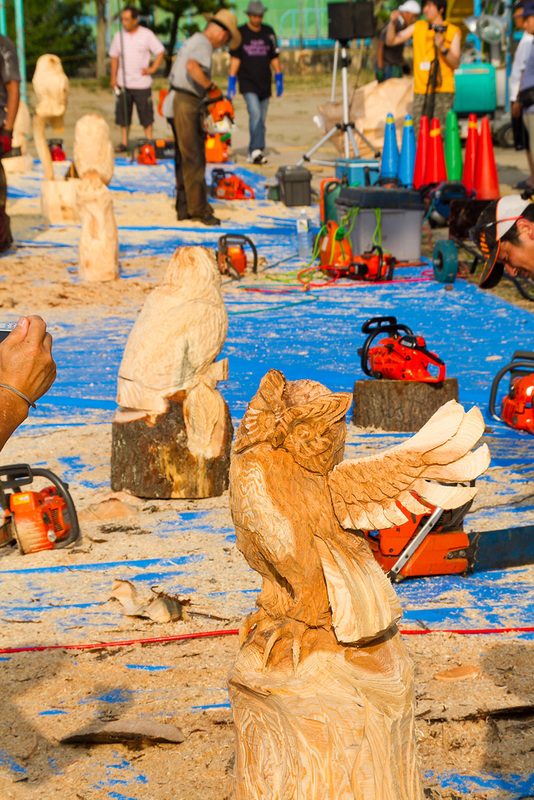 I did not know that chainsaws are able to perform such elaborate workmanship. 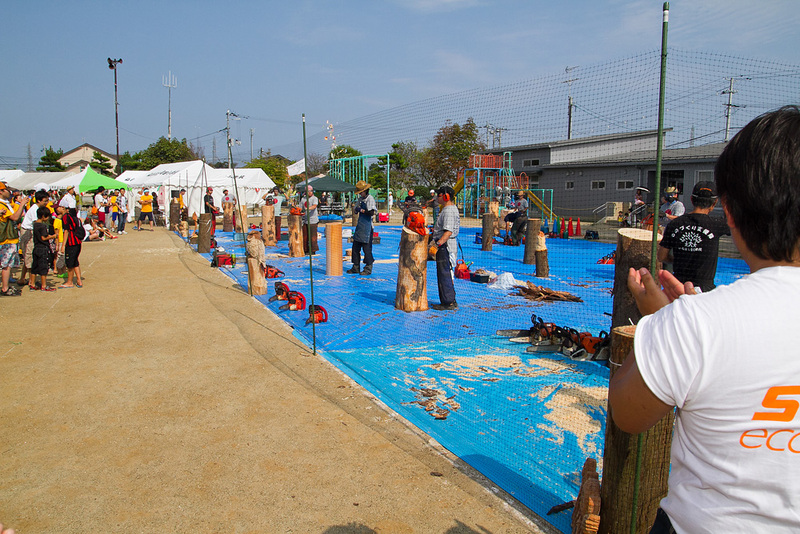 The completed works were provided freely to those who wished to have one. 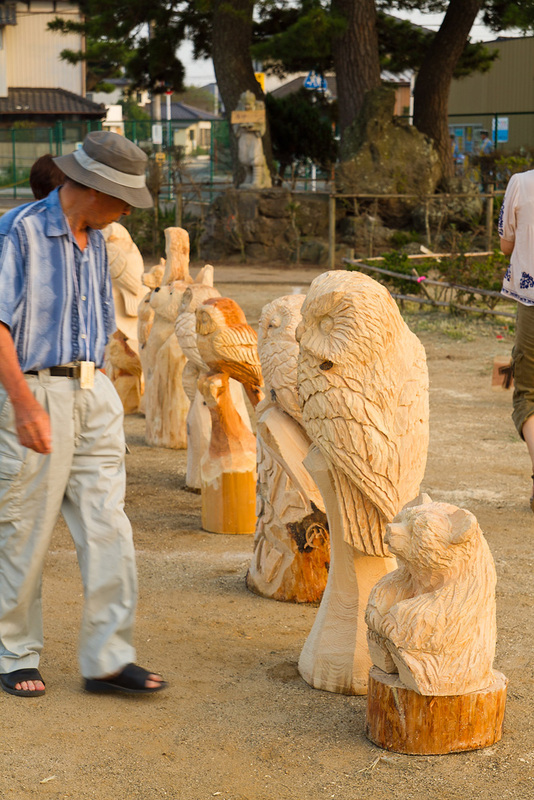 Because there were so many people the recipients were chosen by lottery.